In this week's issue of our environment newsletter, we look at the sustainability of avocados, the hidden effects of light pollution and some greener ways to de-ice our streets. What's green, tastes great on toast and is a water hog? The avocado boom in Canada in recent years reflects a growing health consciousness. This potassium-packed fruit is full of good fats and fibre. But do the health benefits outweigh the environmental, economic and social effects that follow avocados from farm to plate? For one thing, producing avocados is very water-intensive. 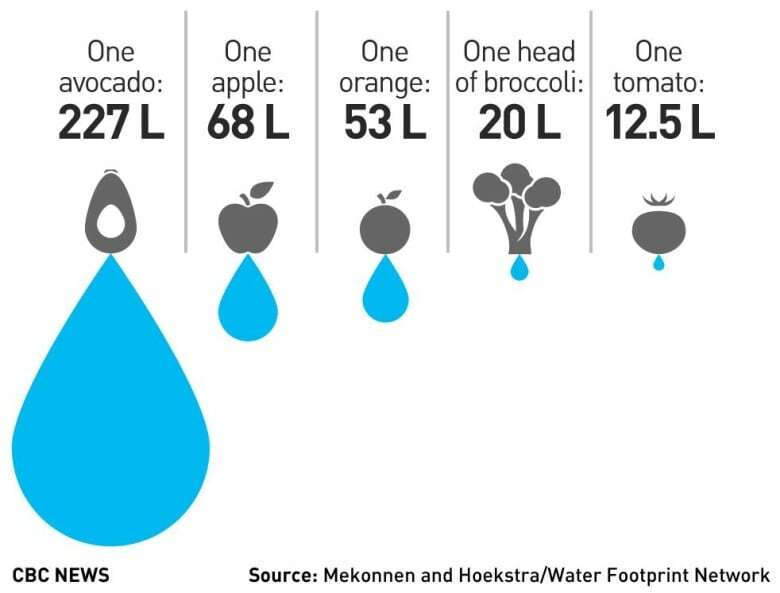 The Water Footprint Network estimates it takes an average of 2,000 litres of water to produce one kilogram of avocados. In addition to avocados' intense thirst, there are roots of unsustainability in farming them — especially the lengthy, complicated fruit-bearing process. An avocado tree won't bear fruit until it's 10 years old, while a "graft sapling" (i.e. the stalk of a young tree fused with a mature tree) will produce a crop after four years. The craze for avocados in recent years is causing high demand, low supply and big profits, and is pushing producers to expand farms, causing unprecedented deforestation of highland pine-oak forests. According to a 2018 study by the University of Miami Law School, about 20,000 hectares of the Michoacan forest in Mexico – where so many of the avocados we buy are grown – is converted for agricultural use each year. Avocado orchards now cover 23 per cent of Michoacan state itself. Some of this deforestation is done illegally by drug cartels, which are also known to extort farmers. Grant Calder, an environmentally oriented urban planner in Toronto, suggests an avocado-heavy diet is as ethically questionable as a diet rich in factory-farmed meat. So, what is an avocado aficionado to do? If you can't part with them, look for the eco-labels that certify sustainability and fair trade for avocado growers. Calder doesn't believe we should stop eating the fruit, but stresses that eating local and in-season produce reduces the carbon emissions of transport while supporting local growers and encouraging the spread of Canadian products. "Healthy habits aren't just about focusing on self-health, but the health of your community," Calder said. 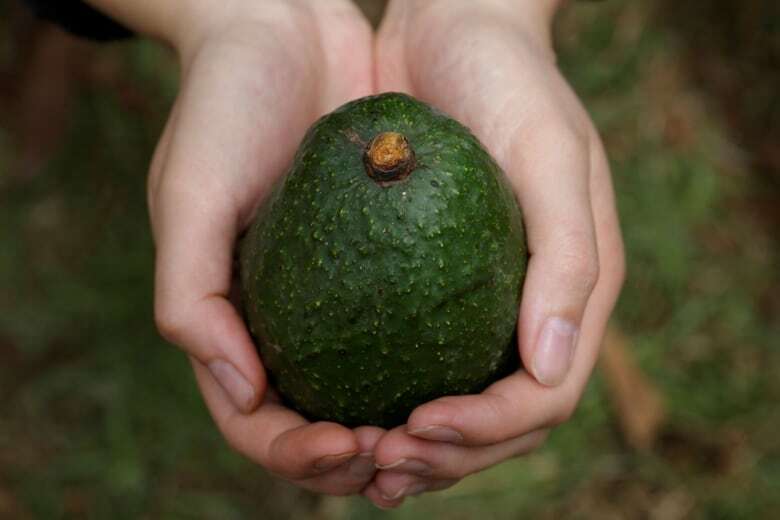 Alyssa Cho, a researcher in tropical fruit production based in Hawaii, another big avocado-growing region, recognizes the negatives of mass producing the fruit. But she said that buying out-of-country avocados helps impoverished farmers in the Southern Hemisphere. And for some regions, it can actually help reduce food waste. Hawaii produces "so many avocados for the island that it would actually be a waste if [producers] didn't sell it" elsewhere, said Cho. The importance of eating fruits and veggies is instilled in us from a very early age. What our parents didn't stress is how much water is involved in growing those delicious, nutrient-rich foods. Here is just a small sampling. Our item last week on road salt stirred strong feelings, and the massive dumps of snow in much of the country this past week certainly kept it top of mind. As Nicole Mortillaro reported last week, Canada pours up to five million tonnes of rock salt on streets every year. The sheer volume of it makes streets and sidewalks pretty unsightly in the winter months, and it's unsettling to think much of it ends up leaching into our yards and nearby bodies of water. Then there's its corrosive effect on bridges and our vehicles. We did a bit more digging and found that cities have experimented with a number of alternatives, such as calcium magnesium acetate and calcium chloride. Many of these formulations are touted as less corrosive and more environmentally friendly than old-fashioned road salt, but that might not be strictly true. For example, Edmonton has been experimenting with calcium chloride, despite findings that it has damaged roads 20 per cent more than salt alone. Cheese brine in parts of Wisconsin. Pickle juice in New Jersey. Salt mixed with molasses in Barrie, Ont. Following up on a tip from one reader about the use of volcanic rock as a gripping agent, we discovered a product called EcoTraction, which is manufactured by Toronto-based Earth Innovations. EcoTraction, which was featured on CBC's Dragons' Den, is made of "hydrothermal volcanic mineral" that not only provides grip in ice and snow, but also "contains no salt, chlorides, chemicals or dyes." It has been used by cities like Ottawa and Chicago. 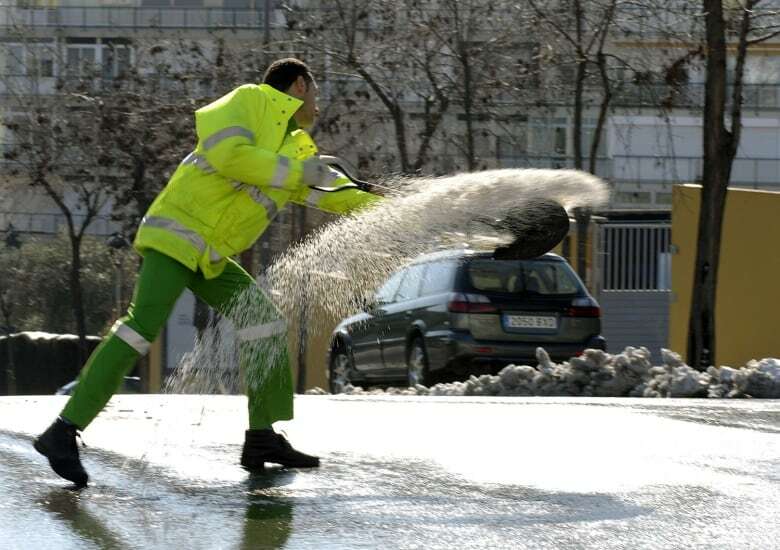 If you've heard of another de-icing material not mentioned here, please let us know! Correction: A number of readers identified a mistake in last week's story, which in one section compared road salt to the tabletop variety. The iodine found in table salt is meant to mitigate goiter — not gout, as we had it. That was an oversight on our part. Thanks for pointing it out. In the latest sign of movement in addressing our plastic problem, 25 major companies — including Nestle, PepsiCo and Procter & Gamble — have announced that this summer, they will experiment with selling some of their products in reusable containers. One of the proposals, put forth by Unilever, is a refillable steel container for its Dove and Axe deodorants. Polling from the Yale Program on Climate Change Communication suggests that 73 per cent of Americans now accept that global warming is happening, and 72 per cent said the issue is "personally important" to them. Given the tenor of the debate in the U.S. (and in Canada) over climate change, this actually feels like a good-news story. Unless you have access to a helicopter, commuting to and from work every day is a dreary, thankless task. There is now evidence that the exposure to vehicle exhaust and the psychological torment of being in a traffic jam could lead to health issues. Let's take a moment to appreciate Scotland's Orkney Islands. For one thing, they're the only place in the U.K. that gets 100 per cent of its energy from renewable sources (specifically wind). Now, they're taking their excess energy and finding ways to turn it into another zero-carbon substance: hydrogen fuel. Have you ever seen the majestic reach of the Milky Way stretching across the sky? If you're in an urban area, as most Canadians are, the answer is likely no. That's due to something a lot of people rarely think about: light pollution. In 2016, a study published in Science Advances found only a third of the world's population could see the Milky Way. But light pollution is about more than being unable to see stars. It can be defined as unwanted or unneeded light, which results in adverse effects. The consequences are felt throughout nature. For example, there has been a decrease in the survival rate of sea turtles in Florida. When hatchlings are born, they scan their environment for a light source that would indicate the ocean, their natural home. But light from nearby roads and buildings confuses them and so they head away from the ocean. Many of them die in the process. In Canada, studies suggest light pollution is affecting the migration patterns of birds. 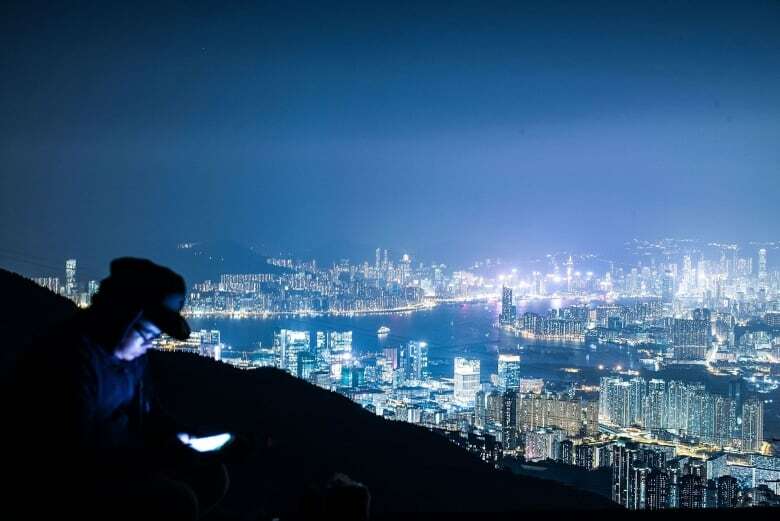 John Barentine, director of public policy at the International Dark-Sky Association (IDA), said when it comes to the impact on human health, "the indications are that light definitely has a role to play in that." Artificial light at night (ALAN), such as a neighbour's outdoor lights flooding your bedroom, upsets our circadian rhythm, which is our sleep/wake cycle. That unwanted nighttime light has been linked to obesity, diabetes and heart disease. There have also been some studies that suggest a moderate increase in the risk of breast cancer among nurses exposed to light at night. Part of the problem is the colour of the light. The less blue in the light, the better. Light is measured on the Kelvin temperature scale. Blue light, which is what we see in the day (roughly 5,500 Kelvin), tells the brain that we should be awake. Right now, there are bulbs on the market that are 2,000 to 3,000 Kelvin. Barentine said that when people make choices about lighting, "they should think about the proper amount of light that is deployed in the proper place at the proper time — which means time of night, but also duration — and they'd think of the proper spectrum, or colour of light." Don't leave on unnecessary lights. Ensure outdoor lights are shielded and point only to what they are supposed to illuminate (i.e. downward, not sideways or upward). Use light bulbs that are 3,000 Kelvin or less. Full disclosure: Mortillaro was once the head of the Toronto Chapter of the International Dark-Sky Association.